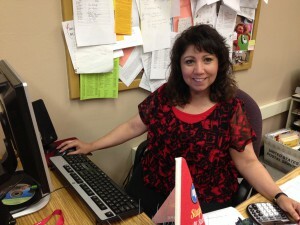 It gives me, Yolanda Hernandez-Garcia, great pleasure to have served Milwaukee Public Schools for 31 years. I continue to take pride in the work that we are doing for our children in MPS. My work as an administrator in MPS continues to be challenging, but my passion and commitment remain strong. 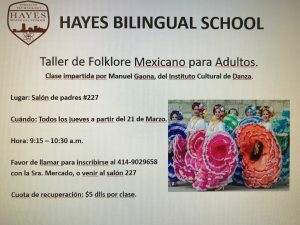 Over the past few years, staff and parents have worked collaboratively to move Hayes Bilingual from a school that is in Needs of Improvement to a school that Exceeds Expectations on our State Report Card. Building positive relationships with staff, parents and students is part of the job that as an administrator is not graded, but is a crucial part of becoming successful. My charge as principal of Hayes Bilingual is to ensure that our students are ready to compete in this changing world, but it is so much more than that. It means that as a staff we establish Hayes Bilingual as a place for students and parents to not only feel safe and comfortable, but also to offer opportunities for our Hayes Family to serve and influence our community in a positive manner. Hayes Bilingual serves a large English Language Learner Population. Therefore, as a principal, being bilingual, understanding language acquisition, promoting bilingualism and helping families understand exactly what it is to be bilingual and bi-literate is key in moving the school forward. It is my role as principal to use culturally responsible methods to nurture and develop our students’ native/dominant language as they simultaneously attain knowledge and master their second language. Keeping students connected to their own identity, language, ethnicity and culture will support them throughout their educational endeavors. It is an honor to serve the students and families of Hayes Bilingual and be part of the MPS Family. My staff and I will continue to do our best to lead Hayes with integrity and prepare our students to become successful not only in school, but also in life.